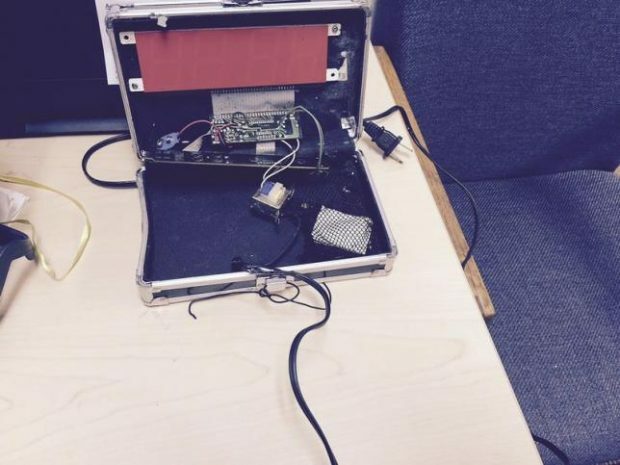 Mohamed gained international attention and a White House invite when he was arrested in Sept. 2015 after he took a clock that closely resembled a timed bomb to his Irving, Tex. high school. One of Mohamed’s teachers referred him to school administrators, and the then-14-year-old was briefly arrested. The incident led to a massive nationwide uproar as activists and Muslim civil rights groups like the Council on American-Islamic Relations (CAIR) claimed it was a case of Islamophobia. President Obama praised Mohamed and invited the teen to the White House. But Mohamed and his defenders soon drew critics. “This was a setup and that President Obama fell for it because it confirms a couple of his pre-stated biases against police and against people who he perceives to be Islamaphobic,” he said. Texas is one of 28 states that have laws protecting defendants against SLAPP cases. According to CSP, Judge Moore, a Democrat, asked Mohamed’s lawyer, an attorney from Fort Worth named Susan Hutchison, to provide any facts that would support the claim that the defendants had said anything false or defamatory about the plaintiffs. “After spending a painfully embarrassing 15 minutes flipping through reams of paper, Mohamed’s lawyer was unable to provide any such evidence,” CSP asserted in a press release. The Mohameds, who moved to Qatar for a brief time before returning to Texas, have a separate lawsuit pending against the Irving school district.